Residents, visitors and business users of the new £9bn Battersea Power Station project are being given access to 100 Rolec Smart EV charge points. 100 Rolec Smart EV charge points are accessible at Battersea Power Station. 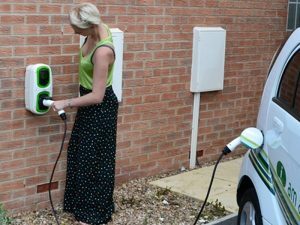 The development, which is already seeing its first residents move in, has deployed the chargers with a bespoke RFID card system to allow EV drivers to use the same card to charge their electric vehicles, access the private lift system and operate the car park barriers on site. Rolec’s GroupManager cloud-based smart charging system also enabled the developers to provide a substantial number of EV charging points on a limited electrical supply utilising the Load Manager feature within the system.